We’re sometimes asked why we don’t office in a big-city high-rise near the big law firms we often fight against in court. Frankly, that’s just not who we are. We each chose the small town for a quality of life that comes from knowing folks on a first-name basis: the court staff; the judges; the sheriff; the police; and especially our clients. Our clients aren’t lost in the shuffle, even the ones a long way from Sherman. At Sanders, Motley, Young & Gallardo a high percentage of our cases are referred from folks who know us best — other professionals. Whether in real estate, insurance, pastoral care, accounting, medicine, education, or the law, these professionals know us because we’ve been around for decades. We are grateful for their referrals, and for the peer recognition in selecting our long-time senior partner, Roger Sanders, as a Texas Super Lawyer, an honor reserved for only the top 5% of all lawyers in Texas. That recognition comes from others appreciating that we often take on the big guys for our little guy clients. We have strived to be a David against their Goliath. Our small firm atmosphere gives clients access to lawyers and paralegals who return calls and get the job done. We have been outnumbered by larger firms, but not out-gunned. With the highest quality and ethics AV rating given to law firms by national legal rating specialist Martindale-Hubbell, we match quality, lawyer-per-lawyer, with any other firm in the area. Our commitment is to seek the justice you deserve through a quality staff, while helping you not feel like a fish out of water. We understand that coming to a law office is not something most folks enjoy. But we’ll do our best to provide straight-talking, tough-minded lawyers who think outside the box. While we handle most cases in-house, sometimes it’s in the clients’ best interest to joint venture cases with law firms we know located throughout the country. In fact, referring you to trusted counsel closer to the fray or more familiar with the legal terrain may be what you need. And sometimes we have to lay it on the line with you: not all cases should be pursued. We’ll help you evaluate whether your case is worth pursuing, considering challenges, resources, and time limitations. Our view is that the best results come when the lawyer and the client work together as a team. Of course, we can’t offer guarantees of a particular result. Cases vary, clients vary, judges and juries vary. But we can promise our best effort, honest and forthright advice on possible risks and results, and an initial consultation at no-charge on contingency matters. 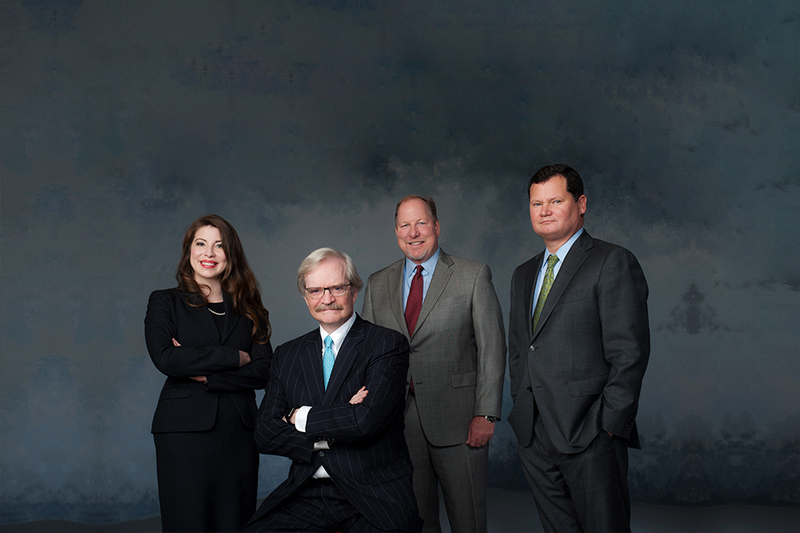 Sherman, Texas Attorneys: Roger Sanders, Luke Motley, Mike Young, and Laura Gallardo.